Share a User’s access to your Google Search Console Account without giving them your login details! 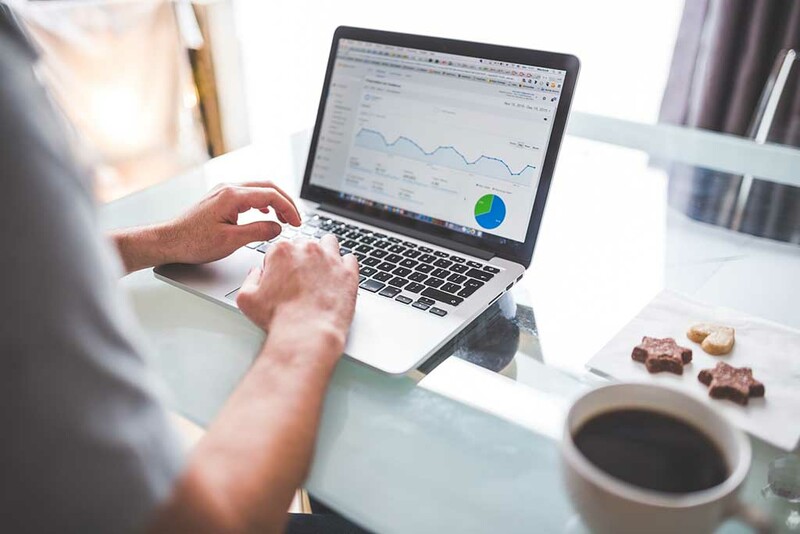 Search Console is an essential part of any SEO’s toolkit. It provides actionable reports and constantly gives health check reminder to your website. 2. 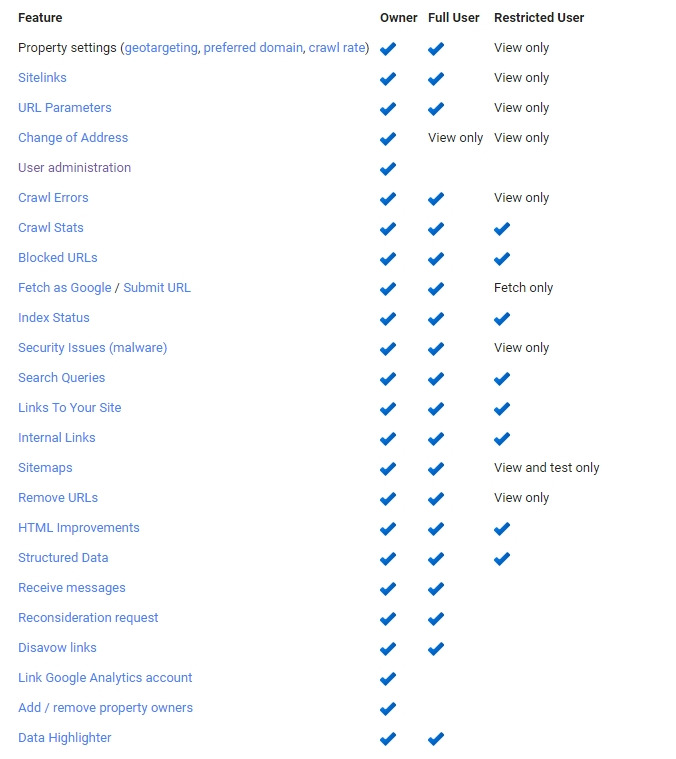 You will be presented with a list of all the websites that you have verified. 4. You will be shown a list of Users and Property Owners with their designated permission level on the website. 5. Click on the ‘Add a New User’ button shown on the screenshot above and add the email address of the user with a FULL access permission. 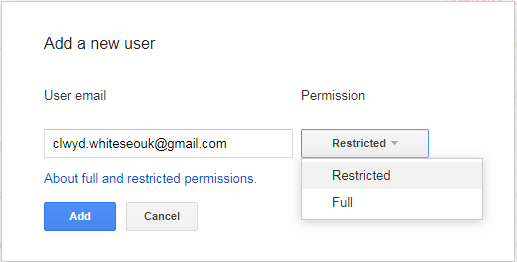 Table below will show you the access permission you gave to a user with a Full or Restricted role. That's it! You have just given a user a shared access to your Search Console Account.